Weaning your older toddler (2 years old an over) can be a challenging journey, especially when it comes to explaining the mother-led weaning process. 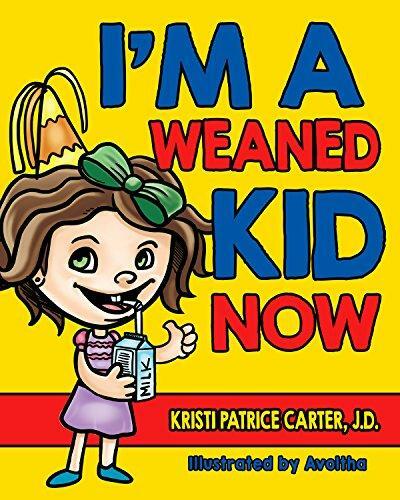 In her new book, I’m a Weaned Kid Now, author Kristi Patrice Carter tells the beautiful story of fun-loving, sensitive 2.5-year-old Chloe and her family as they go through the mother-led weaning process. You and your older toddler can read along with Chloe as she experiences the joys, frustrations, and real emotions of this big life change. 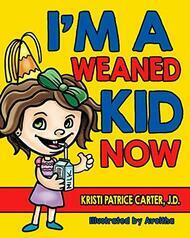 See how her parents’ extra doses of love and understanding help Chloe become a weaned kid. Then celebrate with Chloe and her family as they triumphantly accomplish this important milestone in her life.